All QUERENCIA PHASE 1 homes currently listed for sale in Peoria as of 04/20/2019 are shown below. You can change the search criteria at any time by pressing the 'Change Search' button below. "DESIGNED TO PERFECTION! This TURN-KEY home features high quality construction and the finest finishes with Impeccable attention to detail. Open floor plan, the bright great room is open to the kitchen and dining & ideal for entertainment. 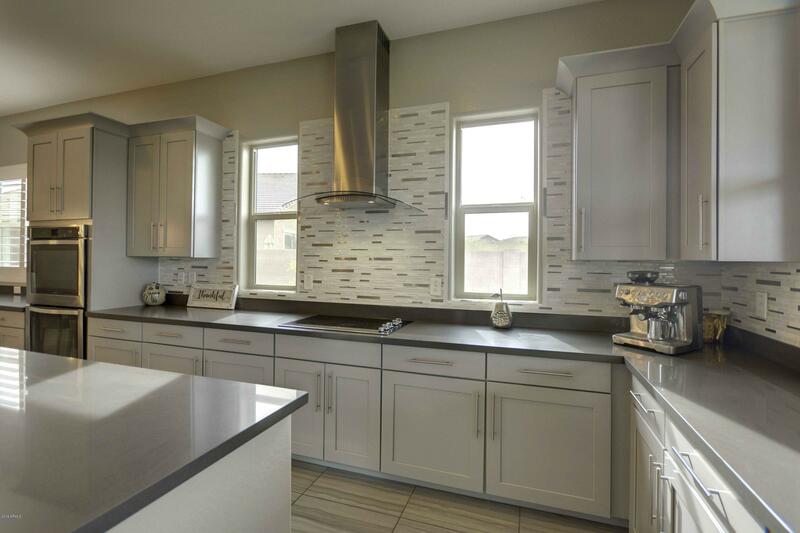 The gourmet kitchen offers custom cabinets, stainless appliances, and gorgeous Quartz counters with designer backsplash. Master suite features a luxurious shower beautiful custom vanities and custom closet. Located in Querencia a gated community exclusively fea"